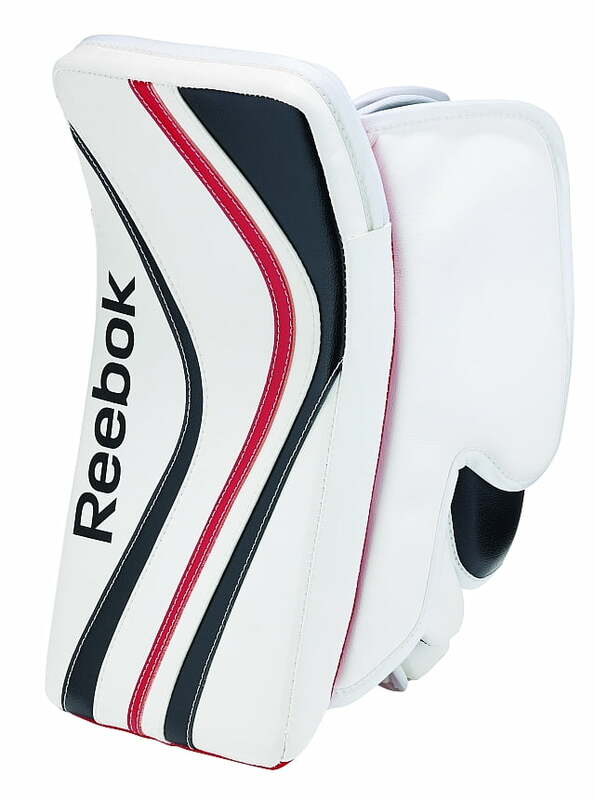 Reebok Premier XLT Pro Blocker | Sports Etc. The XLT blocker has a lightweight dual-density foam insert with a bindingless face that protects it. The innovatively crafted adjustable cuff increases mobility for playing the puck with a durable reinforced grip palm for great stick handling. The Premier XLT blocker palm position can be customized to create more blocking surface below the hand or centered for optimum balance. Sports Etc Performance To Value Rating– 9 out of 10- Extremely lightweight blocker made with a durable dual-density foam. Great for any goalie playing at a high level.